SILARUKOV - Russian grip training tools, built to make your hands and arms really strong! 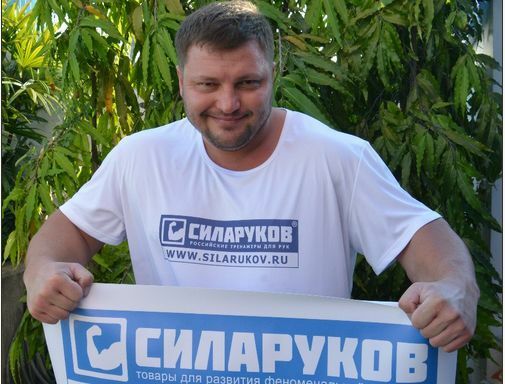 SILARUKOV is translated into English as Mr. Strong Hands. The Silarukov Grip Shop will be closed from December 30, 2018 till January 08, 2019. We start working from January 09 onwards. Happy New Year! Alexey "Russian Tank" Tyukalov, the absolute world champion and record holder in IronMind Rolling Thunder one-handed deadlift (150,5 kg), represents SILARUKOV, Russian Grip Training Tools. This internet shop offers you a line of Russian grip training devices for developing phenomenal hand strength. Here you will find grip tools for armlifting, armwrestling, forearm training, professional handgrippers, rubber resistence bands. 1) Alexey "Russian Tank" Tyukalov, the absolute armlifting world record holder and champion.